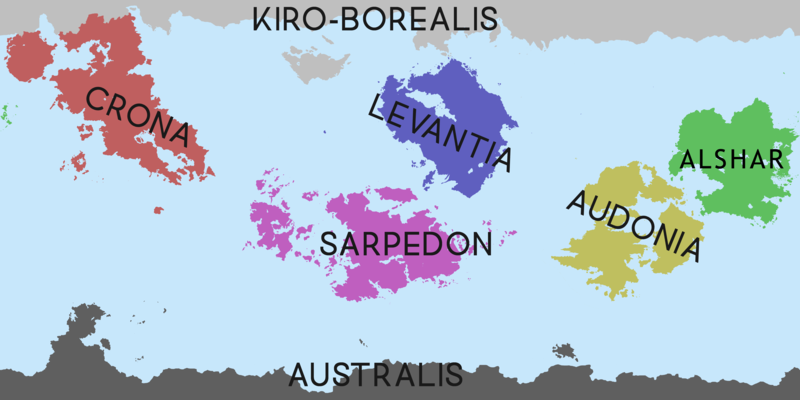 The ruling nobility of Burgundie trace their various lineages back to approximately 158AD when Julian Marcilius Corvus Bergendus unified Ipar under the rule of a centralized kingdom and expelled the Impaxi and Levzeish tribes, making the island a stronghold for the Latinics who would soon become the Bergendii. This ethnic distinction is very important to the Burgundian national concept, not Prythinic like the northern Levantines nor Latinic like their ancestors from the southern Odoneru. 158-598 The high kings of the Bergenddium started with the appointment of Julian Marcilius Corvus Bergendus, who was given the title of "high king" on the island of Ipar, following his successful expulsion of the Impaxi and Levzeish tribes from the island. The title of high king was more of an honor given to men of distinction than a royal appointment with set roles and responsibilities. However, it established a tradition of a centralized rule that was to continue into the modern era. The only task undertaken by all of the high kings, and often the reason that later high kings where chosen, was to negotiate peace deals with larger Kiro-Levantine powers. Template:House of Alvarus 598-937 One of the last high kings, Godefridus Aquila Maritimus, had boasted to Christian missionaries that he would recognize Christianity as the official religion of the island if, "[they could] get every village magistrate to claim for Christ...". Upon the missionaries return, 49 years later, Quintinus Cordus Alvarus the recently appointed high king accepted the terms. He named the lead missionary, Johann, as the first Archbishop of the Bergenddium and in return was, dubiously, granted royal dignity by the "Royal Proclamation of the Free Island of Bergendia", marking the creation of Bergendia. Granted in the "Royal Proclamation of the Free Island of Bergendia"
Granted in the "Royal Proclamation of the Free Island of BergenSee"
daughter of Alvar III and ? of ? 1486-1574 Enactment of Kuhlfrosi policy to disavow any ideas of Burgundian self-rule. Primary tool: appointing enemies of the Christensen family to the dukeship of Burgundie. In particular, noble families with more Germanic (Levantine) and less Latinic connections. Also coincides with a policy of Kuhlfrosification. Granted in the "Declaration of Independence and The Code of Rights of the Burgundians"
This page was last edited on 8 April 2019, at 12:47.